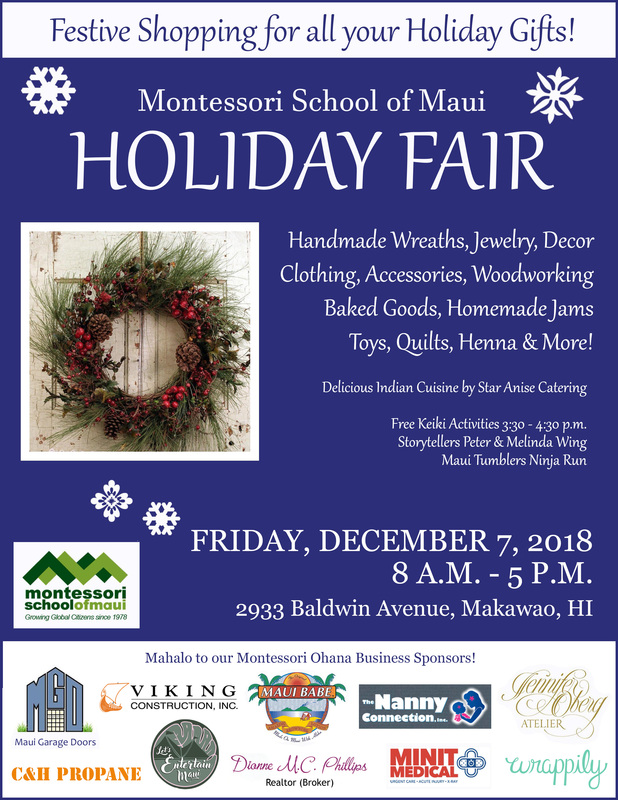 Please join us for the 2018 PTO Montessori School of Maui Holiday Fair Friday, December 7th, 8:00 am - 5:00 pm. Come and shop for perfect gifts for others (or yourself)! 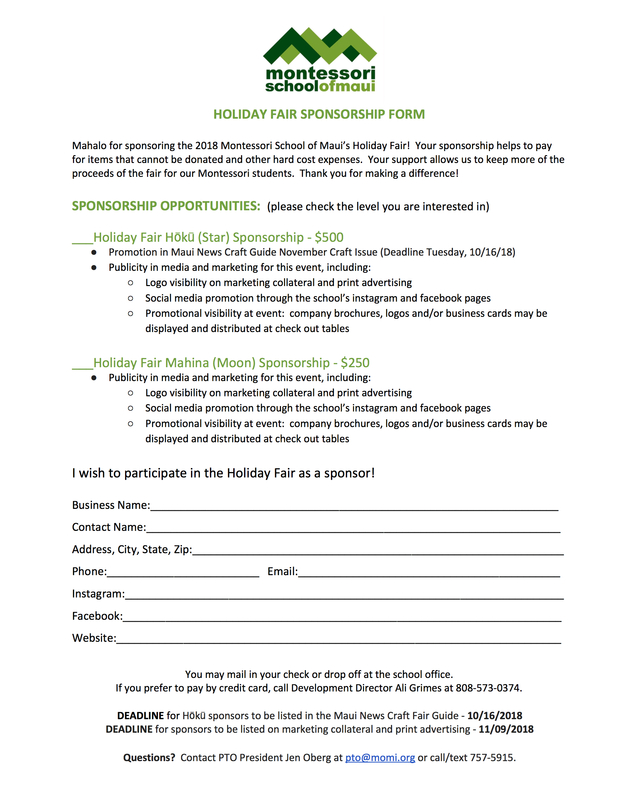 Available will be an array of craft items including jewelry, quilts, toys, clothing and accessories, as well as homemade jams and baked goods.